XPRIMM: Insurance industry has been exposed to big changes regarding implementation of Solvency II. More than two years after implementation would you say this change was good? 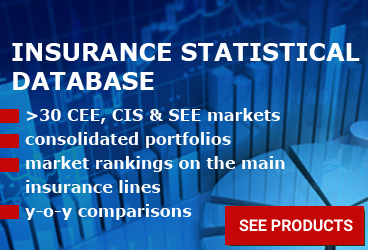 Can you tell us what the main effects of SII are so far for Romanian insurers? Calin RANGU: The transition to SII in Romania, as in the other European countries that have implemented this Directive, has put a substantial effort on insurance companies to be able to respond to new reporting requirements, better understanding of risks to which companies are exposed and to a re-assessment of the capital requirements according to the risk profile that each society has. Prior to the entry into force of the provisions of the Solvency II Directive, the ASF conducted an exercise assessing the assets and liabilities of insurance companies (BSR and BSRE), which estimated how each company is prepared to meet Solvency II requirements. As a result of these evaluation exercises, additional capital requirements were determined for a part of the insurance companies, as well as additional organizational and operational preparation requirements. The implementation of these measures was subsequently monitored and on December 31, 2017, we can say that we do not have insurance companies that do not meet the requirements of Solvency II, both in terms of capital requirements and solvency ratios, and in what precedes the required periodic reporting by the new legislative framework. At the end of the third quarter of 2017, both the value of the assets and the liabilities of the insurance companies (measured according to the Solvency II principles) increased compared to the recorded values at the end of the third quarter of the previous year by 9%. XPRIMM: What instruments do Romanian supervisor use to promote stabile and safe insurance market? C.R. : The tools used by the ASF are those provided by law 237/2015 which transposes the provisions of the Solvency II Directive, mainly consisting of on-site and off-site supervision activities monitoring the compliance of companies with prudential indicators, capital requirements and the implementation of risk management policies based on the risk profile of each company. As results of these activities, depending on the issues identified, measures were proposed to correct any identified deviations and even sanctions, as the case may be. Particular attention was paid to consumer protection activities, dealing with each specific case reported by consumers in view of issuing views or solutions that would lead to a settlement of their complaints, and also, depending on the issues raised, initiative modification of the related legislative and normative framework. Last year we moved from a classical consumer protection approach to the business conduct supervision, setting up a special directorate to create the framework and to supervise the business conduct of the companies, starting with management of the operational risks, governance and processes, preparing product oversight government, the tools to avoid conflicts of interest, staff professional competences development and so on, all specified by IDD. Another tool that ASF currently has is the resolution tool, which gives ASF the possibility of an active intervention in case of identifying major difficulties in the insurance companies with a special importance in the Romanian market. XPRIMM: What do you see as the biggest challenge for Romanian insurers? C.R. : Regarding the implementation of the Solvency Requirements II, one of the biggest challenges for insurers was the preparation of IT systems so as to ensure compliance with the new reporting requirements, in XBRL format, for quantitative reports submitted under Regulation 2450/2015. Another challenge has been for some insurers the ORSA process, with all the mandatory ratings that it has to encompass, and for those who have opted to use internal models for calculating capital requirements, validating and approving these internal models. The general challenge is the one related to people, to change the level of maturity of the staff, to understand the principles, to apply it not as a bureaucracy, not like something requested only by legislation without seeing the real benefit in the stability generated by a bigger trust of the clients in the market, and an improved client protection. XPRIMM: When it comes to Reporting, that is obligated for insurance companies by SII, did Romanian insurers had any problem with that? C.R. : Taking into account the relatively short time since the implementation of the reporting requirements, there are also problems in Romania, as well as in the other states, regarding the interpretation of the requirements of technical standards for reporting and presenting information according to these standards. XPRIMM: The Insurance Distribution Directive aims to strengthen the protection of customers and to harmonise national provisions concerning the distribution of insurance products. Insurance distributors were supposed to comply with these new rules by 23 February 2018, but IDD deadline is now prolonged. What is the main reason for that and what do insurers have to do to comply to new rules? C.R. : Insurers must act primarily in the interest of consumers, putting their own interest in second place. The concept of consumer detriment is the key point. Over time, there have been inaccurate practices, conflicts of interest in the area of ​​those who manage and distribute products, lack of professionalism and even lack of ethics at intermediaries and sales staff. Insurance products developed outside a controlled environment, contracts often included incorrect, possibly abusive clauses, and the products were sold to people outside a properly defined target segment. All these elements, but many others, have led to the emergence of new European legislation. XPRIMM: You are president of the Administration Council of the Financial Studies Institute (ISF), education center for financial sector's employees, being founded by Romanian Financial Supervision Authority. How would you range level of finance literacy among ciztzens in Romania? What is necessary for better education of citizens about finance? C.R. : The level of financial education is very low. At ISF, we are focusing on training and professional development of insurance staff because they are the interface with the consumer. Intermediaries have an essential role in giving the right advice to potential clients; they can be the best educational factor. But for this they have to be properly trained, have the technical support of those who break down the products, have skills, not only knowledge. ASF has an advanced program of financial education, covering children, students, certain segments of the population. In 2017 ASF took a European award for his educational campaigns. ISF closes the circle on the training area of ​​specialists, since it is not sufficient for a client to be educated if the person in front of him is not well prepared, nor vice versa is valid. IDD focuses on the training area, but unfortunately at European level there is no consistent approach to synchronizing the necessary skills to intermediaries to ensure mutual recognition, a unitary and homogenous training niche. Products can be distributed by FOS / FOE, but the level of preparation for those who distribute is very different. EFICERT (European Financial Certification Organization), which establishes insurance occupational profiles, could play a role in this. ISF is a member of EFICERT. XPRIMM: What are the measures that Romanian supervisor takes for consumer's protection? What are you proactively doing to ensure that insurance products deliver fair and reliable outcomes for consumers? C.R. : Indeed, we are talking about reactive and proactive measures for consumers protection. In the reactive area, we talk about solving petitions and taking action after the consumer is dissatisfied and hears a punctual problem, an incorrect practice. Here we have developed a system of indicators to identify systemic issues, trends in the area of ​​law incompliance, or inaccurate practices. But much more important are the proactive actions. In this respect, ASF has set up a direction to supervise business conduct. This directorate develops supervision tools aligned to the risk-based supervision principle. Among these tools we mention thematically supervision, mystery shopping, social media monitoring, receiving and processing of bad conduit public alert information. We also put special emphasis on operational risks management in insurance companies. These risks are in fact those that affect consumers. Employee behavior, lack of processes or inaccurate processes, internal or external frauds, lack of business continuity, IT and cybercrime problems all relate to operational risks and must be managed preventively to protect consumers. XPRIMM: What are the most common measures you have to take against insurers that don't work by the law and how often is that? C.R. : Law 237/2015 on the authorization and supervision of insurance and reinsurance activities transposing Solvency II Directive 2009/138 / EC provides for the measures and sanctions that may be applied according to the findings of the on-site or off-site supervision. The sanctions applied by ASF since the Solvency II implementation requirements ranged from warning to withdrawal of authorization for key personnel or withdrawal of operating authorization for companies. In the majority of cases, however, constructive measures are proposed in the form of action plans for correcting identified deficiencies and improving the critical functions specific to the insurance activity. XPRIMM: As Own Risk and Solvency Assessment (ORSA) became the global regulatory toolkit, insurers are required to analyze the impact of risks and inform management decision-making. What are the main benefits of ORSA? C.R. : In ORSA, companies analyze general solvency needs according to their specific risk profile, risk tolerance limits, and approved strategy. - The active role that the company's leadership should have in the ORSA process, including by coordinating the process and testing the results. XPRIMM: It is essential to ensure that insurers are responding adequately to the accumulation of risks and structural changes that are a source of potential vulnerability. What is the best way to do that? C.R. 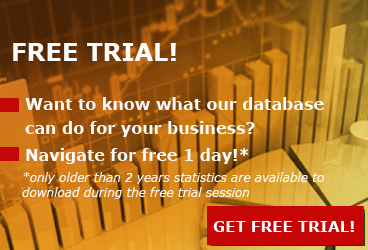 : According to Solvency II, the risk analysis is carried out prospectively. The analyzes are based on various scenarios in stress tests, both individually, at the company level and at the market level. We mention that Romanian insurers participated in all stress tests launched by EIOPA, including those conducted in 2014 and 2016. XPRIMM: How will new technology affect insurance business and what do you think are most distruptive tehnologies for insurers if there's any? C.R. : At international level, there is a remarkable effervescence in discussing technological innovation in insurance. Insurers' business models and consumer experiences are undergoing extensive transformation due to the proliferation of technology and financial innovations. Big Data, Internet of Thinks, Block-chain, Telematics, use of robots for recommendations, Artificial Intelligence can be disruptive technologies. It will move into a near or far future to the assurance-as-a-service model at the time of the risk. Micro-insurance products will be developed, more adapted to the life and health conditions of people, offered at life-time that can generate risks (for example, when riding a bicycle). Insurers will face a growing competition generated by major technology platforms (Google, Amazon, IBM, Microsoft, etc.) that already have the technology closer to users/customers, have information about their behavior and come up with proposals adapted to each one. For this reason, the distribution system will change to third-party vendors of technology or equipment. Insurance products will change significantly. For example, autonomous cars will make the MTPL move from the citizen to the car manufacturer or the fleet owner who will provide on demand electronic displacement machines when a person needs it. Some studies foresee more development options, from the centralized model (where risk prediction becomes highly specialized through expert systems that augment people to optimize sales, service, and wasting decisions), to decentralized systems (based on distributed sensors of people, car, refrigerator, and hand clocks, with emphasis on risk measurement, management and feedback). Bevel honeybee development ideas are also proposed, with distributed and self-organizing intelligent systems, determining and locating the risk, discussing with each other through networks. There is also the option for none of these to happen, not to have revolutions, but to evolve the existing environment without generalizing technologies on a universal scale. In this case, the quickest insurer, who will make the first moves and apply the technology, will fare better. This model will be a utility-oriented one, developed on the range and flexibility of distribution systems. In this case, insurers will manage their partnership ecosystem directly. XPRIMM: The volume of gross written premiums in the Romanian insurance market increased by 6% in the first nine months of 2017. Can you give us numbers for the whole year - the amount of the gross written premiums and percentage of growth? How much was the amount of preumium for life, and how much was for non-life? C.R. 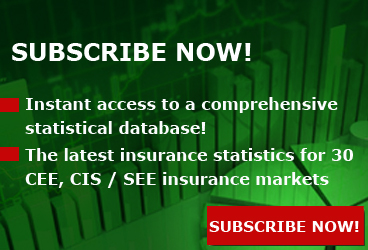 : According to the preliminary data reported by the insurance companies for the fourth quarter of 2017, the value of gross written premiums in 2017 was about EUR 2.083 billion, an increase of 3.39% over the same period of 2016. As mentioned in the 9 month report, in 2017 the gross written premiums from life insurance registered an increase, so by the end of 2017 the gross written premiums from life insurance had a share of 20.79% of the total premiums gross written premiums (an increase of 3 percentage points compared to 2016) and those in general insurance of 79.21%. 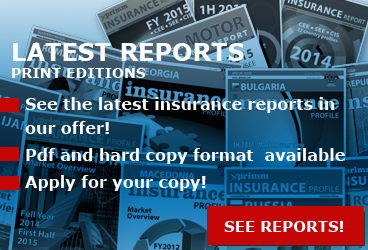 XPRIMM: The Romanian insurance market is still dominated by the motor insurance sector. The European trend is for life insurance to lead the insurance market; however, in Romania the non-life insurance segment leads the market. Why? C.R. : The reasons are primarily the level of income, the education and culture of certain social segments, the level of urban or rural development, the ability of insurers to generate the need for insurance, to come up with products tailored to the specific conditions of the population. In fact, the mandatory MTPL line has a big say in the non-life insurance dominance of the market. As the level of understanding the role of insurance for the personal and family well-being increases, both through financial education and through professionalization of distributors, the volume of insurance will increase. This is already being noticed for life and health insurances where the increases are major.